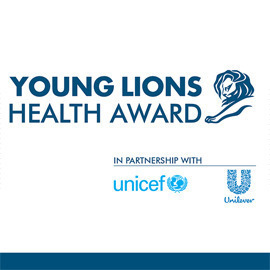 The Young Lions Health Award in association with UNICEF and Unilever aims to discover the next generation of young talent in creative Healthcare communications. This will be done through a competition focused on mobilising support for UNICEF’s objective to strengthen health systems in the developing world. Professionals working in advertising agencies or client organisations who are under 30 years old (born on or after 27 June 1984) are called to respond to the brief set by UNICEF with a creative integrated campaign. The Young Lions initiative is a great opportunity for UNICEF to tap into an unparalleled source of creative communication ideas to raise support to help UNICEF strengthen health systems in the developing world. This contest will end on March 27, 2015 23:59 UTC. The winner(s) will receive a complimentary pass to the Lions Health Festival including accommodation and flights. Winner(s) will also be awarded on stage at the Lions Health Award ceremony on Friday 19 June.